If you’re having trouble with your washing machine, chances are you’ll need a replacement part to get everything working properly again. 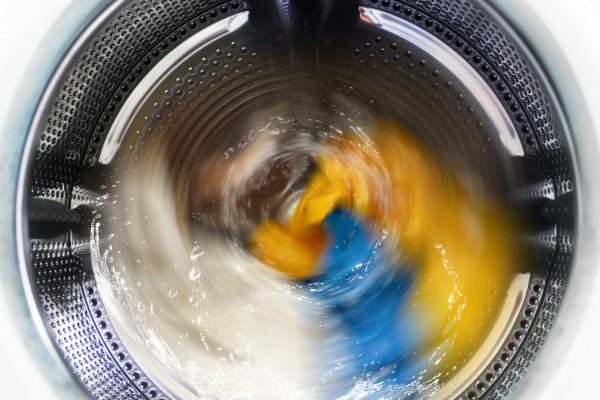 We’ve put together a list of the most common washer replacement parts to help you determine what might be going on with your washer. Like many large appliances, washers are complicated machines with many different moving parts. In many cases, if one of these parts breaks or malfunctions, it can cause the whole unit to stop working. It’s always best to call a licensed service technician to figure out what’s going on with your washer, but it can still be useful to do your own research to verify what the technician says or help them find the problem faster. The lid switch assembly is a safety feature that is standard on modern washing machines. This switch tells the washer that the lid is closed, and it is safe to continue washing. Since these switches are usually made of plastic, they tend to wear out after several years of use. When the switch wears out, the computer receives the signal that the door is open and will not proceed to the next cycle. Luckily, this is a common washer repair problem and therefore should be an easy fix for any service technician. You may even be able to fix it yourself, though be sure that you take all necessary safety precautions before trying this on your own. The motor coupling is the part of the washing machine that connects the motor to the drum. As the motor spins, the coupling turns the drum to agitate the clothes. This part can easily be tested by setting the washer to a normal cycle. If the drum fills with water and begins to agitate normally, then you don’t have a broken motor coupling. On the other hand, if the washer fills with water and doesn’t spin, advance the timer to the spin cycle. If the drum drains and you hear the motor running but the drum isn’t spinning, you’ve probably got a broken motor coupling. Just like in a car engine, the drive belt is the part of your washer that transfers the motor’s power to drive the rest of the machine. Also, like a car, these belts eventually wear out and need to be replaced. This should be the easiest problem to diagnose since you’ll be able to smell the burning rubber in most cases. Carefully tilt the washer back and prop up the front edge. You should be able to see the motor assembly under the washer, and detect if the belt looks stretched, frayed, melted, or cracked, you’ll need to have it replaced immediately. The water inlet valve, unsurprisingly, is the part of the washer that pumps fresh water into the drum to wash your clothes. If this valve becomes clogged or damaged, your washer won’t fill with water. These valves have small filter screens that often get clogged with debris and cause the valve to stop functioning. You should start by trying to clean out the screens on the valve and testing the connected hoses to make sure there’s adequate water pressure reaching the machine in the first place. If these are not the problem, it could be an issue with the solenoids, or coils, on the valve. You’ll need to call your local service technician to test the valve for further problems. In most cases, this is a quick and inexpensive fix.